RACINE, Ohio — Just survive and advance. 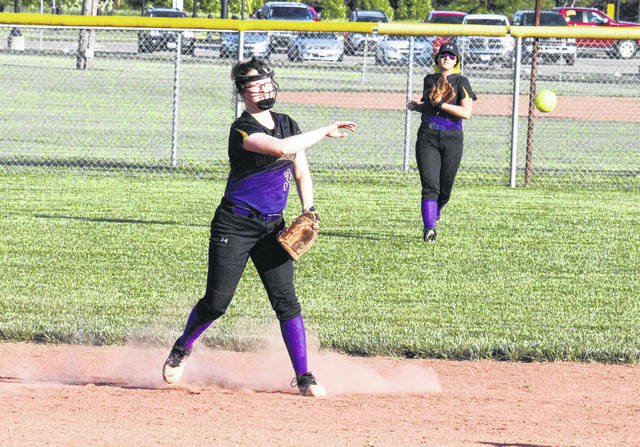 The third-seeded Southern softball team trailed sixth-seeded Pike Eastern by six runs through three innings in Thursday’s sectional final at Star Mill Park, but the Lady Tornadoes rallied back to take an 11-7 victory and their fourth sectional title in the last five seasons. The Lady Eagles opened the game with three runs in the top of the first inning, after a two-run double by Adkins and a one-run single by Stockhom. In the following inning, Pike Eastern scored three runs on three hits and an error, giving the guests a 6-0 edge. Southern (13-8) — which had lost five out of its last six games headed into the postseason — left runners on second and third in the bottom of the second inning, and then stranded a runner on third in the following frame. The Purple and Gold broke through for the first time in the home half of the fourth, as Lauren Lavender led off with a double and then scored on a Shelbi Dailey double. Dailey then came around to score on an error, cutting the EHS lead to 6-2. Eastern ended a two-inning scoring drought in the top of the fifth, as Hatfield doubled home Southworth. The first two Lady Tornadoes reached on errors in the bottom of the fifth, and Lavender brought both around to score with a double. Dailey doubled home Lavender in the next at-bat and then Kaitlyn DeLaCruz blasted a two-run home run, tying the game at seven. After a one-out double in the top of the sixth, Eastern stranded a runner on third. Following back-to-back walks to start the bottom of the sixth, Lavender singled home Jordan Hardwick for the go-ahead run. SHS added three insurance runs, as Kayla Boyer came home on an error, and then Baylee Grueser drove in Lavender and Dailey. 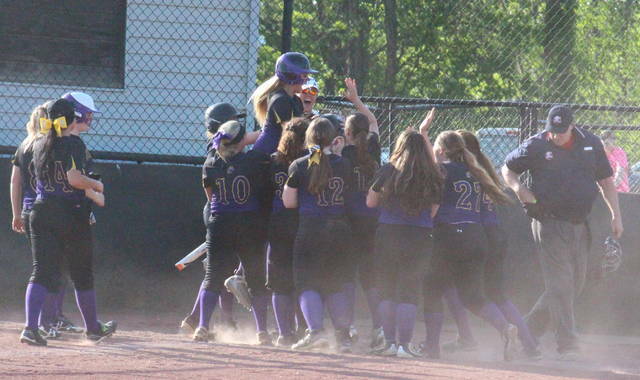 The Lady Eagles were sent down in order in the top of the seventh, as Southern sealed the 11-7 triumph and the program’s 14th sectional title. Following the game, seventh-year Southern head coach Alan Crisp noted his teams ability to battle back throughout the campaign. 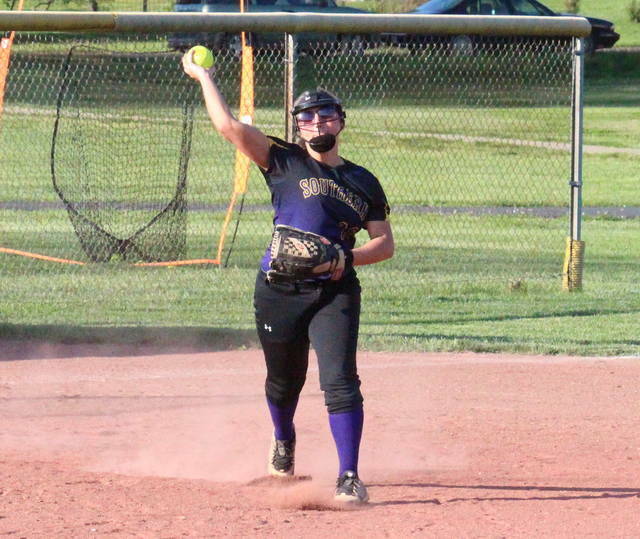 Sydney Cleland was the winning pitcher of record in a complete game for SHS, striking out five batters and allowing seven runs, two earned, on 11 hits and two walks. Lester faced two batters in relief and suffered the pitching loss for EHS, allowing two earned runs on two walks. Stockhom pitched the rest of the way for Eastern, striking out three batters, walking one, while allowing nine runs, five earned, on 11 hits. 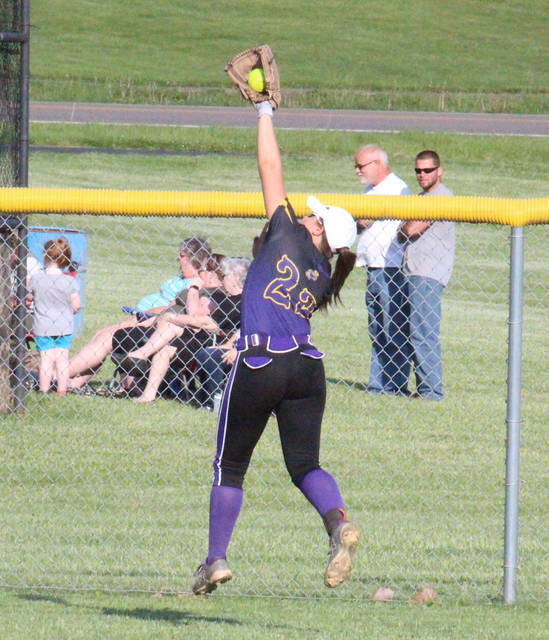 Leading SHS at the plate, Lavender was 3-for-4 with three doubles, three runs scored and two runs batted in, Dailey was 3-for-4 with a double, three runs and two RBIs, while Grueser was 2-for-4 with three RBIs. DeLaCruz hit a home run, scored once and drove in two runs for Southern, Josie Cundiff came up with a double, while Jaiden Roberts contributed a single. Boyer and Hardwick both scored twice as courtesy runners. Adkins doubled twice and drove in two runs for EHS, Carroll doubled once, singled once, scored twice and drove in a run, while Hatfield doubled once, singled once, scored once and drove in two. Southern committed three errors and left seven runners on base, while Eastern committed six errors and stranded 10 runners. The Lady Tornadoes will be matched up against No. 2 seed Portsmouth Notre Dame in Thursday’s 6 p.m. district semifinal at Rio Grande. The Lady Titans defeated Green by a 10-0 tally in their sectional final on Thursday.